Looking for a suitable holiday vacation in India! 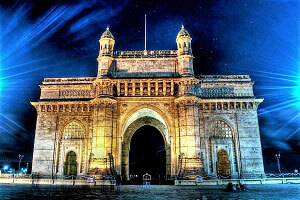 Here are the glimpses of the places you can visit in India. Chennai is the capital city of Tamil Nadu state, you can start the tour with this metropolitan city. Experience an architectural therapy with UNESCO monuments of Mahabalipuram, Kumbakonam and Thanjavur. You have a pause in Chettinad, a good choice of countryside tour in South India. Enter Kerala, which is a place for leisure tour. Safari tours are famous in Thekkady and then moving on to Alleppey for backwater cruise in Vembanad lake. This short Kerala tour ends in Kochi taking an internal flight to Bangalore. Get ready for another heritage tour with monuments of Hoysala & Chalukya dynasties. 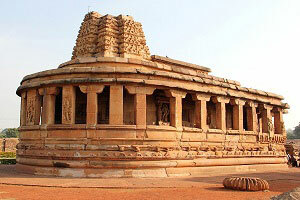 You can take a flight to Delhi, the capital of India after this Karnataka tour. After having Capital City Tour, have a short drive for Agra tour, visiting the Taj Mahal, a monument of love. Move towards west of India reaching Jaipur, the capital city of Rajasthan, often called as ‘Pink City’. The city gives an introduction of palace tour of Rajasthan. Drive back to Delhi and your best places of India tour ends here. Normally the illumination of the Palace will be on Sundays and Public Holidays. Every day in the evening, there is a sound and light show which explains the Palace history in local Kannada language and at the end of the show just for two minutes the palace is illuminated but only the front view and not the whole Palace. The show will be cancelled if there is rain. Drive from Jaipur to Delhi. Departure to the Delhi Indira Gandhi International Airport as per your flight schedule back to home.